Here at the Colonic clinic we believe in the holistic view the healing powers of natural therapies. Holistic (meaning the whole person – mind body and spirit) comes from the Greek word Holos meaning ‘whole’, summarizing the words Plato wrote over two thousand years ago. Yet he could be describing a present day situation in holistic healing. In holistic healing, the whole person is taken into account. Seeing “the whole” implies an understanding of the human as a complicated collection of energies. We believe that we all possess the innate ability to heal ourselves. Our intention is to focus entirely on the individual during the session in order to assist the body’s own natural ability for self healing. Our primary goal is to provide and encourage a relaxing experience that re-establishes the mind-body-spirit connection. The clinic utilizes many philosophies and proven techniques in order to meet the needs of the individual client. The therapeutic works such as colonic hydrotherapy, reflexology to name just two, are offered with the hope of helping the client achieve personal balance. Additionally, holistic approaches such as non medical nutrition advice is provided and encouraged, with the belief that these practices can enrich life. Our goal is to offer holistically based therapies that assist in balancing individual needs. 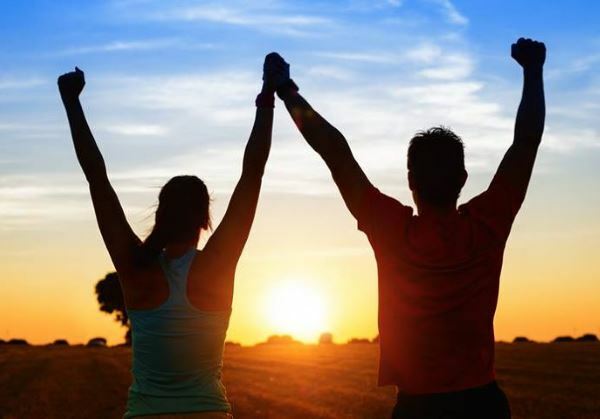 We are committed to helping our clients regain and maintain a sense of well being by providing them a way to take time out of life’s stresses and reconnect with themselves. By focusing on prevention and complementary care, we can provide the knowledge and skills for improved daily and lifetime self-care habits. Modern medicine seeks only to treat part of the person; we need to do more than just treat the symptom … we need to eliminate the cause of the disease. 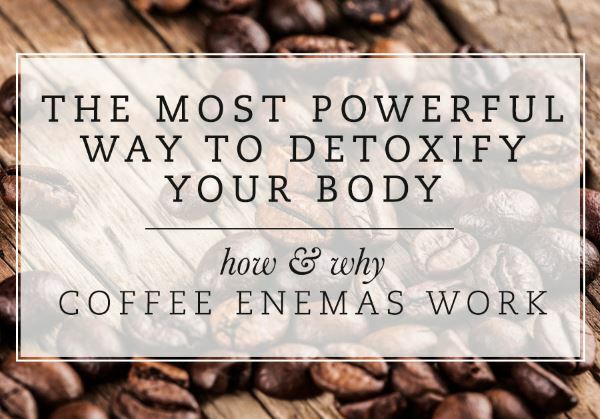 Our various superior quality, Organic Herbal Enemas are amazing and effective in assisting the cleansing and healing process of the body. I was feeling tired and bloated, It was over a week since any bowel movement but this was nothing unusual for me in fact this is / was normal for me, every couple of weeks the same thing, tired, lethargic and bloated. Then I saw the advert for colonic irrigation, almost all of the symptoms they treated were mine and with my Mother in Law being diagnosed with colon cancer praying on my mind I decided to give it a try. Meeting Debbie at Deep was easy my mind was put at ease and everything was explained in detail very caring, considerate and discreet I’ve since had three more treatments and I feel so much better, I’m regular and comfortable I feel that my body is in balance, no longer bloated, more energetic, sleeping better and as a bonus I’ve lost both weight and inches and feel toxin free. So a big thanks you to Debbie for getting me back on track. WOW! That is the only word I can use to describe the way I feel since starting regular colonic treatment. I started my treatment February 2010 and my life has completely changed for the better. I used to wake up still feeling tired, I felt sluggish the majority of the time and my bowel movements were very sporadic. I thought that was how everyone felt and that it was normal. I now know that to be totally wrong. I feel refreshed when I wake up my tummy is no longer bloated and my skin is fantastic! My beauty therapist is always commenting on how great my skin is and the best thing of all is that my bowel movements are daily, sometimes even twice daily, previously I could go 3 -4 days without a movement. Debbie is great and you feel at ease with her straight away which is really important because it is a sensitive subject. With Debbie’s nutritional advice I have also managed to change my eating habits which has helped me to feel even better about myself. All in all I would definitely recommend the treatment to anyone, I definitely haven’t looked back and know that I’m now as healthy on the inside as I look on the outside. I first went to see Debbie through an article in the local paper. Not having had anything like this before but having suffered with bowel problems I was very interested if it would make any difference to me. I was put completely at ease by Debbie who talked me through the procedure first. I explained all the problems I was having and she completely understood how I must be feeling. I was pleasantly surprised that it was not painful as I truthfully expected it to be!! However just after the first one I could tell the difference, I have now been for 3 and I can honestly say I feel a different person. The bloated feeling has gone I am going to the toilet nearly every day which believe me is a massive improvement on every 8 days!!! People have said how well I look my skin is better my eyes are more sparkly and I just feel good. I would strongly recommend the treatment for anyone looking to give themselves a boost of energy and regenerate their batteries, it makes you feel marvellous. Debbie is a true professional. She put me at ease immediately with her friendly manner and enthusiasm. She explained every step of the process and answered any questions thoroughly. Her knowledge of general holistic therapy is most impressive and I came away with lots of tips and advice that I’ve now implemented into my daily life. After my first colonic, I felt much less sluggish and my skin was clearer than it’s been for months. Upon Debbie’s advice, I increased my intake of water and really saw the difference after going back to see her again. The results after the second visit were amazing – friends and family commented on how well I looked. I felt great on the inside and this was really reflected on the outside! I would recommend a trip to see Debbie without hesitation. I was really nervous when I went for my colonic with Deborah. Although I had some knowledge of colonics I was still unaware of how it would feel. Deborah put me at ease immediately! First of all she went through a detailed health check with me and it was very apparent that she was very knowledgeable in her field. She got me to take long deep breaths whilst the speculum was inserted, and there was no pain at all. The only way that I can describe the treatment is like having a hot water bottle on the inside, bizarre but comfortable! After the treatment I really did feel re-energized, I didn’t feel half as sluggish in fact I felt pretty good! This is a treatment that I would definitely recommend to anyone! Suffering from bloating I have had several colonics and always found them to ease my symptoms. Through a recommendation I went to see Debbie at the Colonic Clinic. Although I had always seen results in previous treatments (from other clinics), I was very surprised with the end result after my first treatment with Debbie. My skin was cleansed, I slept better and felt generally fitter and healthier, something that I hadn’t experienced when having treatments at other clinics. For someone who is contemplating a colonic for the first time I highly recommend Debbie, she advises you throughout the treatment about what is happening and makes you feel comfortable – it can be quite a daunting thing to think about having done but Debbie is excellent. I had suffered for years with bowel problems, bloating, and headaches. I put this down to stress and diet and just put up with it – until I decided to try colonic irrigation. Deborah put me at ease straight away and the whole treatment was stress free. After the first treatment I felt better than I had in years. After 2 treatments my headaches had disappeared, the bloating had gone and my digestive system began to work properly again. Friends said that I looked brighter, not as tired, and my skin has improved. I would not hesitate to recommend this treatment to anyone, and I am glad that I have found a dedicated and knowledgeable professional in Deborah, who treats you with all the care of a good friend. After what felt like years of feeling sluggish, tired and bloated. I decided that i would try a colonic irrigation, as I’d heard over many years how good they was. And was curious as to find out if they did what they said they did. As it so happened, some flyers was brought into my place of work, so after only a minutes hesitation i rang the Colonic clinic. There i spoke to Deborah, who was really helpful, she asked me many questions, which i tried to answer as honestly as possible. from there we made an appointment to visit her at a site within my own area. When i got there i was quite nervous, but she put me at my ease very quickly, explained what everything was and encouraged me to ask questions. The procedure went very well and have since has it done again. I cannot tell you how I’ve felt since my very first procedure. I,ve had so much more energy, no bloating and no aching legs, she also gave me lots of nutritional advice which i have followed, so all in all it got the thumbs up from me and i would recommend it to anyone. My skin, hair and nails also look great so thank you Deborah. Deborah Brown put me at ease the very moment I set foot into her clinic. I felt safe under her care as she answered my questions thoroughly and thoughtfully and throughout the session I did not feel that my dignity was undermined in anyway. Her professionalism, sense of humour and kindness is a winning combination! I would recommend Deborah Brown completely to anyone who is nervous about taking this excellent therapy for the first time. As is the philosophy at the Colonic Clinic, great care was taken to ensure that I received a truly holistic treatment, which included a thorough consultation and nutritional advice. Despite the nature of the treatment, at no point did it feel invasive. The care, treatment and advice I received was of the highest quality and, at all times, my needs, comfort and enjoyment were paramount. 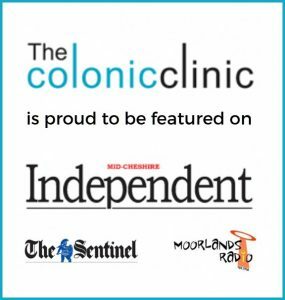 I have experienced this therapy on several occasions and can honestly say that my visit to the Colonic Clinic was a truly relaxing and enjoyable experience and the treatment was performed in an extremely professional manner. Post-treatment I regained an enormous sense of well-being and I would definitely recommend it to anyone. Thank you very much Deborah, I will certainly be visiting again. I had my first colonic treatment yesterday 15th March 2016 at The Colonic Clinic in Stoke on Trent. Mine was purely a treatment to see if I could feel the benefit after seeing TV programmes about the “feel good factor” it delivers. From the moment I spoke with Debbie I was put at easy and everything was explained clearly. The treatment itself was amazing, I felt fantastic as soon as the treatment was finished and was better than dreamed, I would recommend the treatment to anyone and especially at The Colonic Clinic and Debbie. I’ll be honest I was a little hesitant initially however Debbie came highly recommended. I’m fit well and healthy and as Pro football player I need to be.. but I’m always looking for way to stay that way and be one one step ahead on the health front. The treatment was great! Not what I had anticipated, Debbie made me comfortable, explained everything and if im honest and actually watching the whole process super intriguing. I felt lighter, energised and I definitely feel its positively affected my training, I know the gut is your immunity and I have not had a severe cold or flu for probably about over 5 years now while fellow players have been dropping like flies when a cold or flu bug hits. Its been just over 7 years now of regular colonics with Debbie and I cant recommend her or the treatment highly enough..
< If you’re ready to get booked in, click the button to get started!